A complete guide to all 2018 convertible cars and SUVs offering the best in today's top-down choices for open-air driving fun. Here is a list of convertibles with your requested features: Model Year: 2018 Models; use the selections at the left to change the convertible cars displayed. The 2018 BMW 430i 4 Series Convertible is a hardtop convertible with 2 passenger doors and seating a maximum of 4 people, with a price starting at $51,650. Running on Premium, the 430i 4 Series Convertible gets 24 MPG City, 34 Highway MPG, for a combined 27 MPG. The 2018 BMW 440i 4 Series Convertible is a hardtop convertible with 2 passenger doors and seating a maximum of 4 people, with a price starting at $58,700. Running on Premium, the 440i 4 Series Convertible gets 21 MPG City, 29 Highway MPG, for a combined 24 MPG. The 2018 Buick Cascada is a softtop convertible with 2 passenger doors and seating a maximum of 4 people, with a price starting at $33,065. Running on Premium, the Cascada gets 21 MPG City, 29 Highway MPG, for a combined 24 MPG. The 2018 Chevrolet Corvette Grand Sport is a targa top roadster, a convertible with 2 passenger doors and seating a maximum of 2 people, with a price starting at $65,495. Running on Premium, the Corvette Grand Sport gets 16 MPG City, 25 Highway MPG, for a combined 19 MPG. The 2018 Chevrolet Corvette Grand Sport Convertible is a softtop roadster, a convertible with 2 passenger doors and seating a maximum of 2 people, with a price starting at $69,495. Running on Premium, the Corvette Grand Sport Convertible gets 16 MPG City, 25 Highway MPG, for a combined 19 MPG. The 2018 Chevrolet Corvette Stingray is a targa top roadster, a convertible with 2 passenger doors and seating a maximum of 2 people, with a price starting at $55,495. 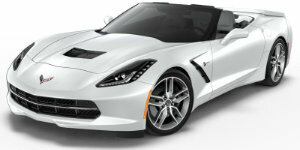 Running on Premium, the Corvette Stingray gets 16 MPG City, 25 Highway MPG, for a combined 19 MPG. The 2018 Chevrolet Corvette Stingray Convertible is a softtop roadster, a convertible with 2 passenger doors and seating a maximum of 2 people, with a price starting at $59,495. 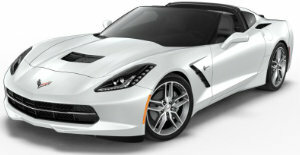 Running on Premium, the Corvette Stingray Convertible gets 16 MPG City, 25 Highway MPG, for a combined 19 MPG. 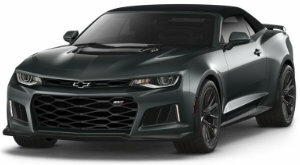 The 2018 Chevrolet Corvette Stingray Z51 is a targa top roadster, a convertible with 2 passenger doors and seating a maximum of 2 people, with a price starting at $60,495. 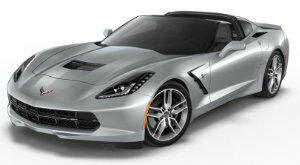 Running on Premium, the Corvette Stingray Z51 gets 16 MPG City, 25 Highway MPG, for a combined 19 MPG. The 2018 Chevrolet Corvette Stingray Z51 Convertible is a softtop roadster, a convertible with 2 passenger doors and seating a maximum of 2 people, with a price starting at $64,495. 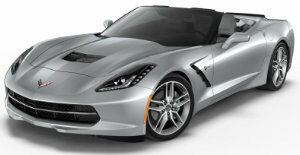 Running on Premium, the Corvette Stingray Z51 Convertible gets 16 MPG City, 25 Highway MPG, for a combined 19 MPG. The 2018 Chevrolet Corvette Z06 is a targa top roadster, a convertible with 2 passenger doors and seating a maximum of 2 people, with a price starting at $79,495. Running on Premium, the Corvette Z06 gets 15 MPG City, 22 Highway MPG, for a combined 18 MPG. The 2018 Chevrolet Corvette Z06 Convertible is a softtop roadster, a convertible with 2 passenger doors and seating a maximum of 2 people, with a price starting at $83,495. Running on Premium, the Corvette Z06 Convertible gets 15 MPG City, 22 Highway MPG, for a combined 18 MPG. The 2018 Jaguar F-TYPE Convertible is a softtop roadster, a convertible with 2 passenger doors and seating a maximum of 2 people, with a price starting at $63,000. Running on Premium, the F-TYPE Convertible gets 23 MPG City, 30 Highway MPG, for a combined 26 MPG.